Sail by #JDsMthatha and reel in our NEW 'Fin-tastic' Special! Hook 6 JDs Prawns & 4 Queen Prawns OR a 10 piece sushi platter for only R129! 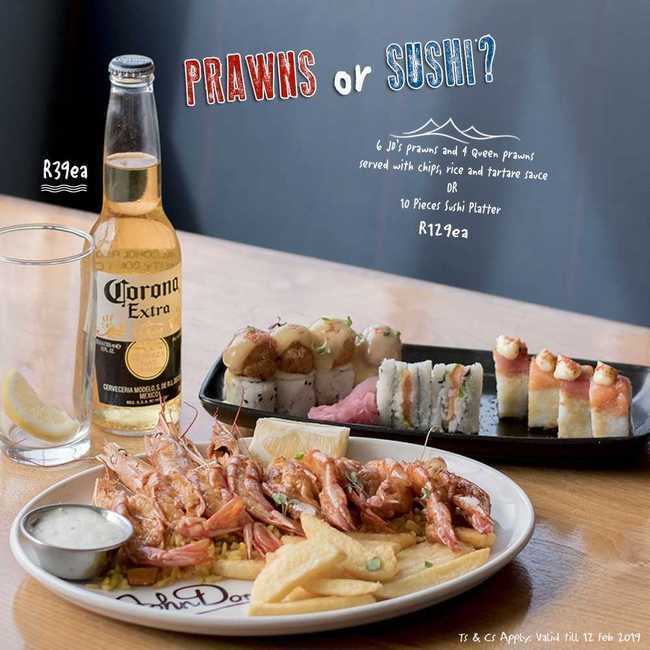 Pair your meal with a refreshing Corona for only R39! So which meal will it be Mateys? Alcohol not for sale to persons under 18. Special Available until 12 Feb '19.